Masonite believes that doors not only add beauty to your home but they add value by being energy efficient, durable, and built to withstand a variety of climates found in the United States. Masonite doors are also built to quiet any ambient noise making your home even more peaceful. 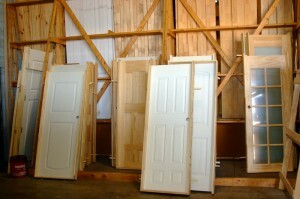 Masonite understands that choosing the right door for your new home or remodeling project is critically important. That is why they offer the largest selection of colors, designs, and functions. Many of their great designs and materials are patented meaning that Masonite doors are one of a kind that cannot be copied or found anywhere else. There is no substitute.